A hooded, performance fleece with a smooth, durable face that will quickly become your go-to midlayer for cool weather cardio. Features include zippered hand and chest pockets and a fixed hood with elastic binding for a performance fit. There are those layers that let you go and then there are those that let you go farther. And faster. And warmer. The Men’s Gannett Peak Hooded Jacket is your go-to midlayer for fall mountain cardio with the kind of warmth and wicking that make for endless activity. 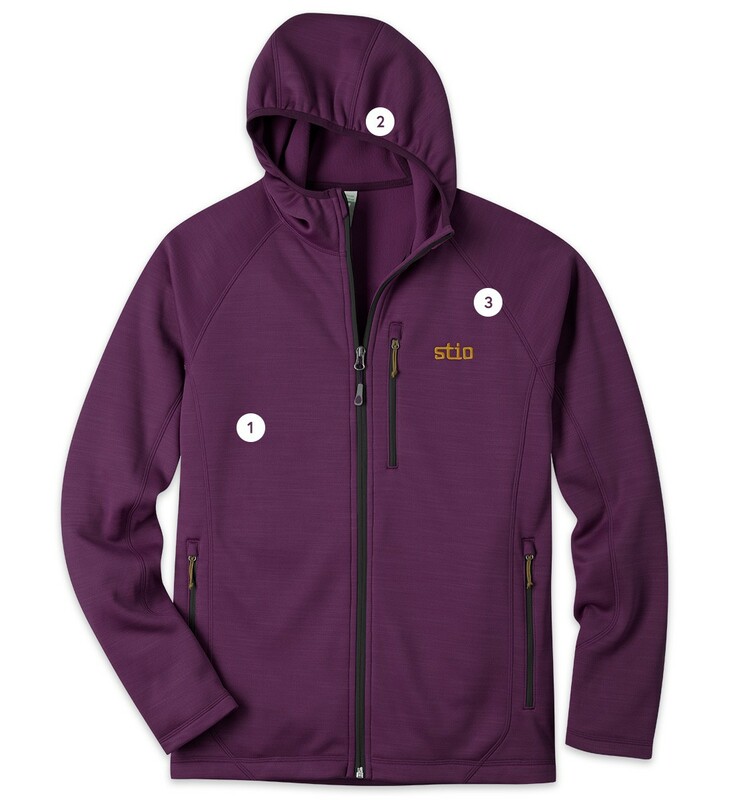 Lightweight, heathered polyester fleece with a smooth, durable face is tough enough to stand alone or layer seamlessly into your on-mountain kit. No bunching, binding, or getting in the way of your next summit bid - just the perfect amount of regulated warmth. Center back length, 27 3/4"
Our go-to technical midlayer fleece.